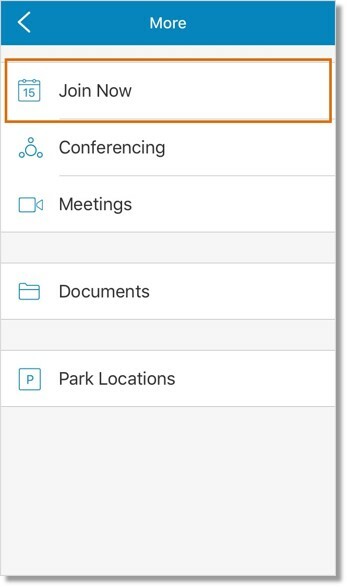 The AT&T Office@Hand Mobile App integration with Google Calendar enables you to join meetings, conference calls, and other events right from the Google Calendar. 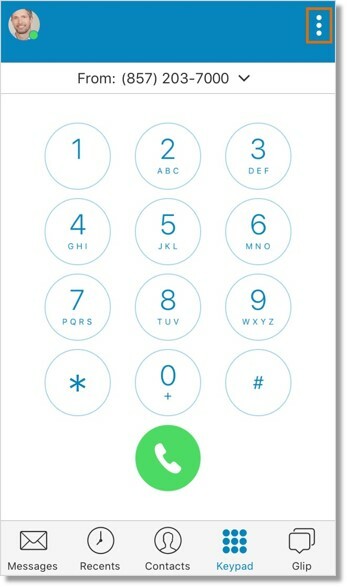 The AT&T Office@Hand Mobile App can be used to change your extension settings, making and receiving calls. 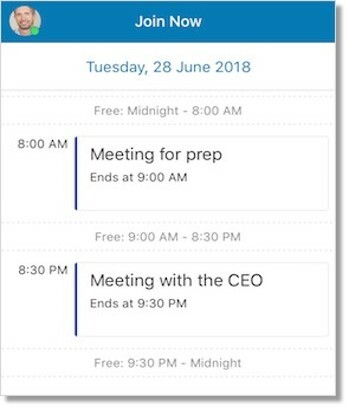 With the Google calendar integration, you may now join web meetings, conference calls and other events on your Google calendar right from your mobile device. 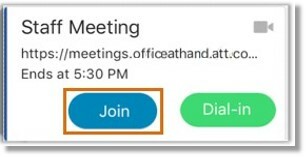 One tap/click to join an Office@Hand Meeting or an audio conferences call; participant ID’s and access codes entered automatically. Access Join Now on your mobile device. 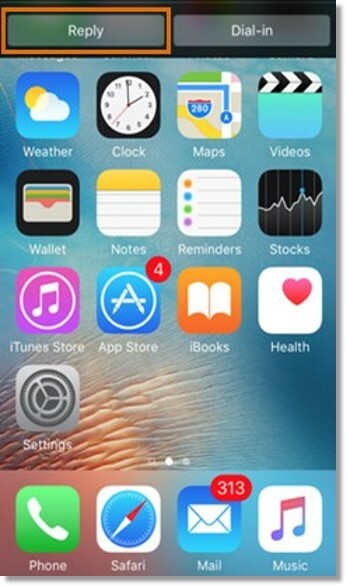 You will see your scheduled meetings or events for the day. 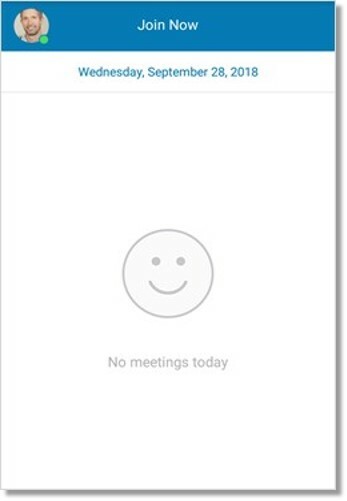 If you have no meetings scheduled for the day, you will see the screen below instead. QUICK TIP: Scroll down to refresh your screen in order to see the updates on your schedule for the day. 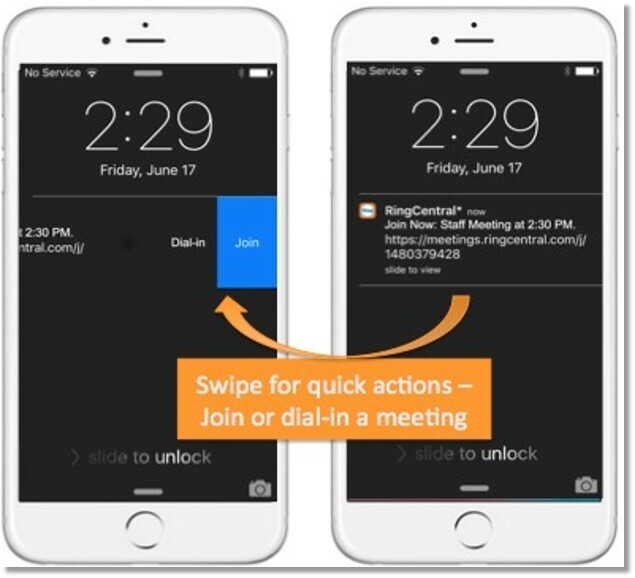 Tap Join to join a meeting from the Join Now screen. This will launch Office@Hand Meetings. 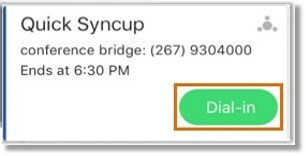 Tap Dial-in to join a meeting via the audio conference bridge. 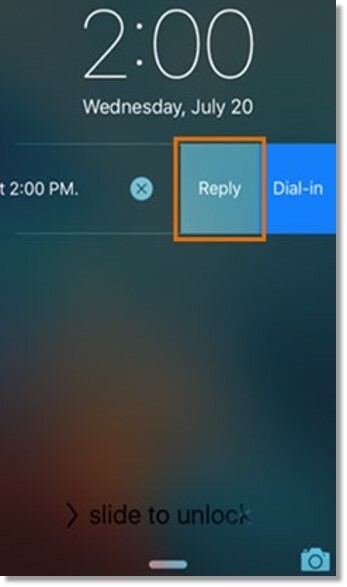 Tap Reply to quickly send a message to the meeting’s host or participant/s to notify when you will arrive. Check the following articles for more information.